At Dickies, we design all of our workwear for painters with fit and functionality in mind. In our collection, you’ll find a wide variety of painters gear. 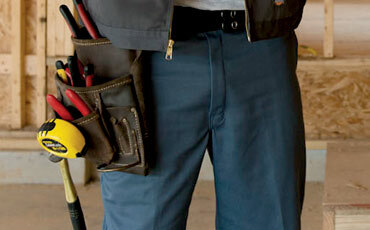 Men from all over the country have come to rely on our everyday Painter's Utility Pant and 10" Painter's Short. We design all of these workplace staples with reinforced stitching, extra-strong triple-stitched seams, and multiple pockets that can hold up to day-long wear and tear. Our Painter's Bib Overall have been around for decades, always proving to be a workplace favorite with their roomy fit and utility features. We make every item in our collection with advanced ergonomic design and generous fits. Comfortable gear with built-in functionality is all you need to get the job done, making your workday easier, safer, and more productive. Workwear should move with you and be one of your hardest working allies. 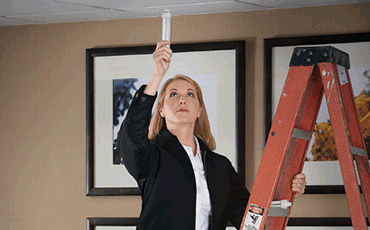 At Dickies, we know that you need more than just white painter’s pants for a successful day. We’ve infused our most popular pant with added knee protection. Double knee construction and openings for knee pads mean no more blown out knees. These 100% cotton drill pants allow you to get into every space without sacrificing on comfort. With all of our painter’s workwear, you’ll get added comfort, extra durability, plus all of our standard features.